Everything is in genuine condition. As good as a brand new car Mention PakWheels.com when calling Seller to get a good deal Disclaimer: Under Pak Suzuki certification criteria; Used Car Warranty is provided for Vehicles of age up to 5 years old or driven up to 75,000 kms (whichever occurs earlier) For models older than 5 years old; neither certification nor Warranty is provided/sold on as is where is basis. Set your Alerts for Suzuki Ciaz in Faisalabad and we will email you relevant ads. 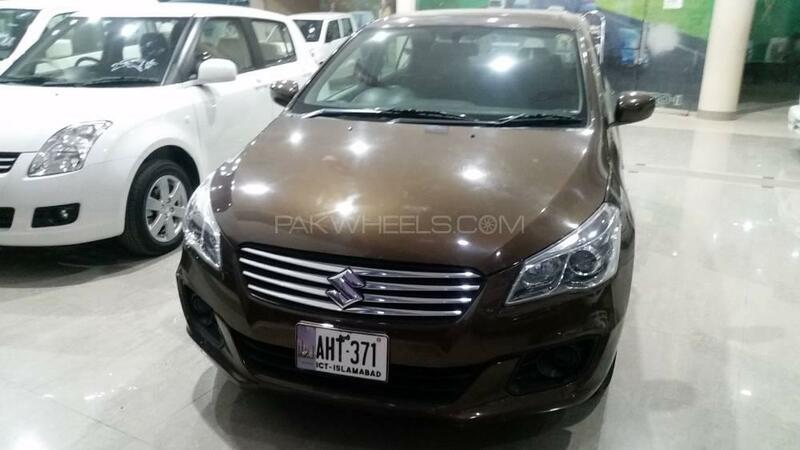 Hi, I am interested in your car "Suzuki Ciaz Automatic 2018" advertised on PakWheels.com. Please let me know if it's still available. Thanks.